Remember the good old days when congressmen used to try to insert riders into spending packages to win money for a project in their home districts? My, how things have changed. 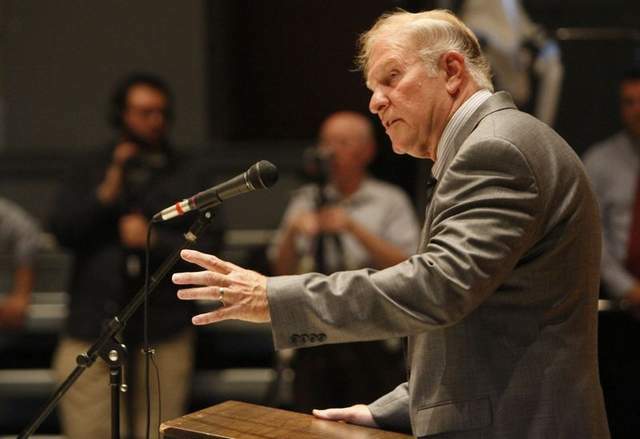 Last week, Ohio Representative Steve Chabot welcomed in a contentious new era in transportation policy when he attached a rider to the 2013 Appropriations Bill insisting that no money be spent on a project in his home state. No requests for transfers of any kind. Just, “Hey Congress, please don’t send any money back to my state” — for the Cincinnati Streetcar, anyway. His measure passed in the House by a voice vote at mid-week. For Chabot and some other powerful officials in the state of Ohio, the Cincinnati Streetcar — or any new passenger rail development in the state, really — is a possibility to be avoided with the virulence of a case of chlamydia. Meanwhile, supporters argue the project would connect the region’s two largest employment centers, improving access to 100,000 jobs, lowering the cost of living and helping the local housing market recover. In a way, this project is a microcosm of the fierce, ongoing struggle for the soul of transportation policy in America. Cincinnati voters have twice affirmed their support for the project — following attempted referendums to stop the project by a local opposition group calling itself COAST. So what exactly about the Cincinnati Streetcar so irks guys like Chabot and Kasich? Chabot told the Cincinnati Enquirer he’d rather see the money spent on highway projects. The Brent Spence Bridge? A $2.5 billion, eight-mile double-decked bridge replacement and highway widening. The I-71 interchange: a $59 million highway project, meant to serve a hospital and revitalize an urban neighborhood. And there lies the fundamental disconnect. In the eyes of a good deal of Ohio’s leadership — typified by Chabot and Kasich — highways are the highest form of transportation, a source of economic development in which all public layouts serve the fundamental flow of commerce, measured in daily vehicle traffic. Kasich made it clear where his priorities lie when he appointed former asphalt industry lobbyist Jerry Wray to run the Ohio Department of Transportation. 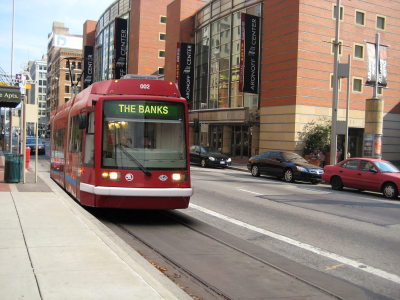 Meanwhile, Cincinnati’s urban dwellers see the Cincinnati Streetcar as a boon to economic development and residency in downtown Cincinnati, Over-the-Rhine and by the University of Cincinnati — where a big portion of the region’s economic activity is concentrated. Chabot’s latest attack isn’t likely to stop streetcar supporters. Despite the many assassination attempts the Cincinnati Streetcar has staggered on, using more than $100 million compiled exclusively from federal and local sources — and not a dime of state money. The project broke ground in February. Still, you have to think other attacks are coming, even as this project has already overcome so many. And you have to wonder, what are Chabot and Kasich so afraid of? Angie, it’s not only that Chabot is doing this for money coming to the state of Ohio, it’s keep money from his own district and the town he lives in. And sadly, we’re stuck with him for life as his district was gerrymandered into an hourglass shaped area taking in the very conservative Republican Warren County (a mostly rural and ex-urb county northeast of Cincinnati’s Hamilton County). So his district is now both parts of th city of Cincinnati and the other area. He will represent Warren County, but won’t apparently be working on behalf of the other half of his district. No telling why he hates his hometown. And we’re stuck with this district set up likely for the next ten years. The asphalt lobby vs. public transportation is heating up. Do the Republicans really think they can win by making everyone in the city of Cincinatti hate them with a fiery passion for their demented, evil antics? Well, apparently they do. I don’t think it will work. Chabot’s supporters hate the people who live in Cincinnati and want to do things to hurt them. That’s the entire story here. Chabot would vote against oxygen for cincinnati if he could. He’s inhuman. I treat him like the thug he is whenever I see him around town. He recognizes me now and walks away from me. I walk faster. He is truly a vile monster. This sounds like a job for Superman…or any consultant who has ever done basic cost-benefit analysis. Hire an external consultant to do the valuations of the all the projects in the Ohio transport pipeline and prioritize. This is where politicians need to disappear and let professionals do their jobs. As a voter any politician who makes issues like this political would automatically lose my support. Chabot said he was running to bring jobs, jobs, and more jobs to Cincinnati. Yet he is trying to prevent federal funds from coming to his district that would create….wait for it…..jobs. It is quite simple what Chabot and Kasich are afraid of. There is an ongoing trend of reurbanization in OH (as well as in the nation). Cities in OH (as well as in the nation) are Democratic strongholds. The letter next to Kasich and Chabot’s name is not D. Its really that simple. Southeasterner, the Ohio Department of Transportation’s Transportation Review and Advisory Committee (TRAC), established to take the politics out of transportation spending by evaluating the economic benefits of projects, gave the Cincinnati Streetcar the highest score of any major transportation project in the state. Governor Kasich still pulled state funds out of the project. The streetcar is a total waste of money. It is a “train to nowhere”.